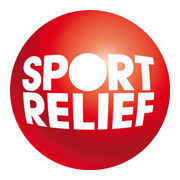 As one of the newest and most successful national fund raising events, Sport Relief takes place every other year and is a combined venture from Comic Relief and BBC Sport. Begun in 2002, the highlight of the campaign is the Sport Relief Mile – this aims to get as many people as possible to walk, jog, run, crawl or any way they like, over the one mile distance at the same time. The aim is to bring together many characters from the world of entertainment and sport to raise as much money as possible to assist more helpless people in some of the world's poorest countries, as well as the UK. Various BBC shows hold special editions during the event, with notable ones having been Sport Relief Does The Apprentice, a special Strictly Come Dancing and the Top Gear trio presented a version called Top Ground Gear Force. Many people will probably also remember David Walliams swimming the English Channel for Sport Relief having spent 9 months training for it. Many high profile sponsors get involved with Sport Relief which takes place on March 19th and 20th in 2010. With an even greater awareness of the Sport Relief Mile, the organisers hope to break all previous records in terms of people participation and the money raised.